Today Australians are going to be urged to hang up the BBQ tongs, put down their sausages and steaks and have a Meat Free Monday. Read more to find inspiring resources, meat-free recipes and take the pledge today. Handy not just for us Australians. The Meat Free Mondays campaign has been launched in Australia by not-for-profit organisation Do Something! and the Fry’s Family Foundation with major support from leading nutritionist Dr Rosemary Stanton and a host of well-known chefs. Research support is provided by the University of Technology Sydney’s Institute for Sustainable Futures. The campaign, a brainchild of environmentalist and 2010 NSW Australian of the Year, Jon Dee, isn’t about asking Australians to become vegan or vegetarian. It is designed to raise awareness of the numerous personal health and environmental benefits of eating less meat. I am super excited to announce that I have been invited to be part of the campaign, providing a number of recipes to the Meat Free Mondays and the Foodwise websites. You can view all my recipes here. My happy healthy kitchen articles are coming soon too! Apart from delicious recipes from chefs such as Maggie Beer, Simon Bryant, Nicole Senior and Janella Purcell as well as Paul, Stella and Mary McCartney – submitted specifically for Meat Free Mondays, you can also find a number of inspiring articles on keeping a healthier and less wasteful kitchen. Handy not just for us, Australians. Others, such as Kylie Kwong, Guy Grossi, Luke Mangan and Neil Perry have also contributed recipes to the Foodwise recipe bank. Head over to the Meat Free Mondays Australia Facebook Page or visit the Meat Free Mondays Australia website and take the pledge today. 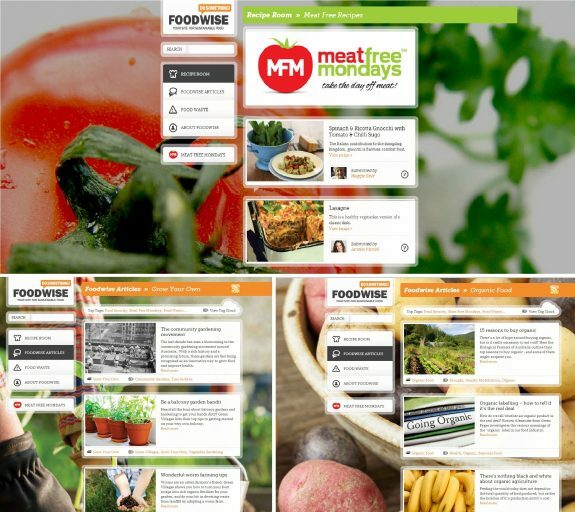 Both Foodwise and Meat Free Mondays sites are packed full of great recipes as well as information and tips for keeping a healthier and less wasteful kitchen. People who have already taken the Meat Free Australia pledge include Sir Richard Branson, nutritionists Dr Rosemary Stanton and Joanna McMillan and eat-local supporters Maggie Beer and Simon Bryant. So, tell me, will you take the pledge and have yourself a Meat Free Monday? What a fantastic resource! Congratulations on being involved with such a great cause Martyna, really love what you’re doing. Congrats Marty, it’s great to see you up there with everyone else. Looking forward to reading your articles – you are so full of amazing tips and iedas. Great work to the Foodwise team too! I’m ready to take the pledge. I’ve done meatless Mondays for a long time. I think it’s a great idea. Not only is it healthy but it cleans the veggie drawer in the fridge. win-win. I’m off to check out those links. Indeed Maureen, there are always so many vegie options lurking in that drawer and they end up quite yum. A couple of decades ago I began having, firts one then two, meatless main meals a week. Have loved them and am still collectimng wonderful recipes from around the world. I believe in the idea but do not necessarily ‘make it a Monday’ – that may not suit! Good luck anyways and I am looking forwards to reading and using all the recipes 😉 ! Hi Eha, just like you we try to go vego more than once a week. And whether it’s Monday or any other day, it’s a tasty and rewarding experience. It’s about time Australia caught up! This is great to read and congratulations for being part of it! 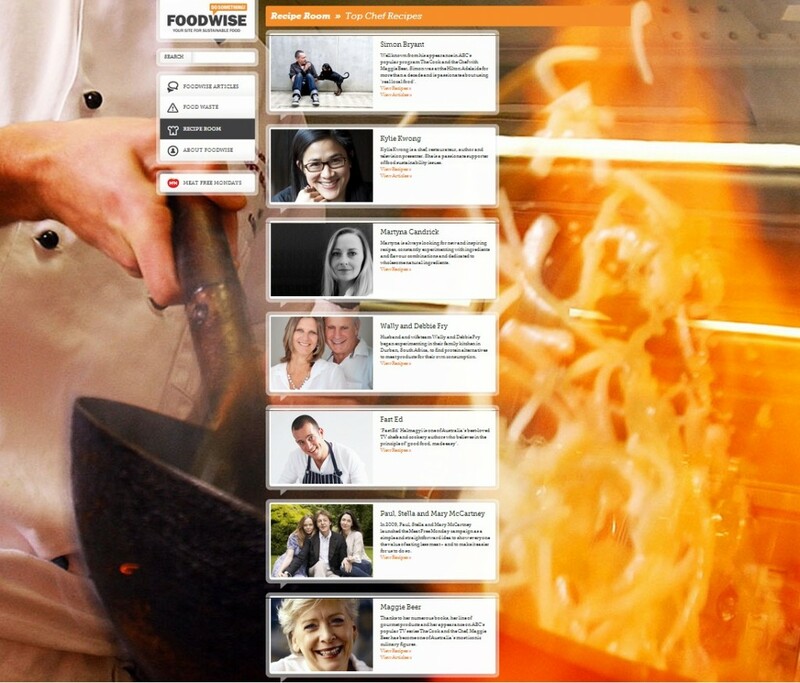 What a fantastic idea and how exciting to be developing tasty recipes for this! Will head over now to check it out. Congrats on being involved with such a great campaign!